It doesn't matter if you're rocking an AMD graphics card or play for team Nvidia, both companies have new GPU driver updates available. The timing is no coincidence, as both include optimizations for Ubisoft's recently released Watch Dogs 2. Starting with AMD, its Crimson 16.11.5 adds support for Watch Dogs 2 and has a new DirectX Crossfire profile for Dishonored 2. Beyond that, it's a relatively minor update that fixes a couple of flickering issues, one that affects The Division and the other affecting Battlefield 1, both of which might occur when running a Crossfire configuration. AMD CrossFire technology mode is currently disabled for Windows 7 configurations with Dishonored 2. Watch Dogs 2 may experience flickering or a game crash when using AMD CrossFire technology mode with Dual Radeon RX 480s. H.264 content may experience blocky corruption when streaming using P2P content players on some Radeon RX 400 series graphics products.pty list. You can grab the latest Crimson update here. As for Nvidia, its new 376.09 driver provides a "Game Ready" experience for Watch Dogs 2, meaning the driver team focused on performance tweaks and bug fixes specific to that title. High GPU idle clocks with two DisplayPort displays. Adobe Premiere Element 13 crashes during launch. NVIDIA Vulkan ICD breaks Vulkan initialization on AMD. [NVIDIA Quadro] Cannot enable DisplayPort display after its EDID is unloaded. Black screen occurs each time an update to the 375.70 drivers is attempted. [375.86, GeForce GTX 960] Tearing, checkerboard corruption occurs in Adobe Lightroom. Call of Duty: Infinite Warfare has no SLI profile. [GTX 780/770] Forza Horizon 3 crashes reported with 372.90 GRD. [MSHybrid GM204+GP104] Yellow bang seen on XGPU entry in device manager. pty list. [Windows 7 through 8.1] High GPU idle clocks with two DisplayPort displays. You can download Nvidia's latest driver package here. 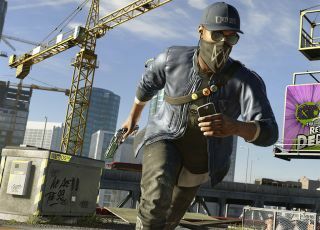 Nvidia also put together a Watch Dogs 2 graphics and performance guide for help fine tuning the game's settings.